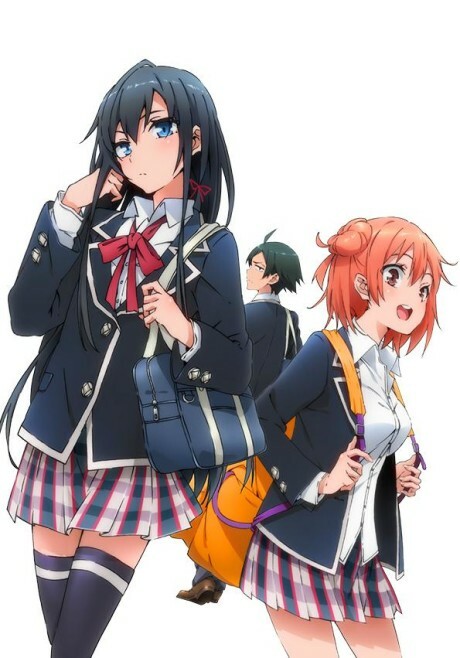 This romantic comedy revolves around an antisocial high school student named Hikigaya Hachiman with a distorted view on life and no friends or girlfriend. When he see his classmates talking excitedly about living their adolescent lives, he mutters: "They're a bunch of liars." When he is asked about his future dreams, he responds: "Not working." A teacher gets Hachiman to join the 'Volunteer Service' club, which happens to have the school's prettiest girl: Yukinoshita Yukino. Yahari Ore no Seishun Love Comedy wa Machigatteiru. : Kochira to Shite mo Karera Kanojora no Yukusue ni Sachi Ookaran Koto wo Negawazaru wo Enai. We need to talk about Hachiman.